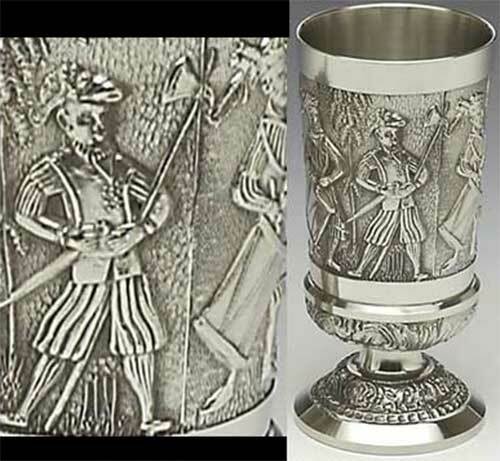 This pewter goblet features an embossed portrayal of medieval fighting Irish. The Irish goblet holds 12 ounces and stands 6 1/4" tall. The medieval goblet is hand crafted in Ireland by Mullingar Pewter and it is gift boxed, complements of The Irish Gift House.